A decorated carry case with 3 mini wax highlighters inside. 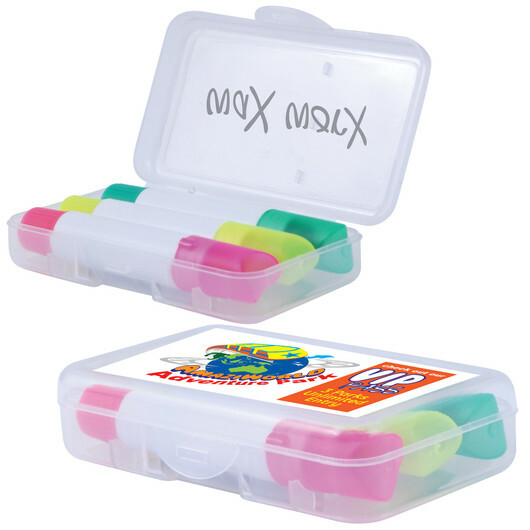 A clear case with 3 mini wax highlighter markers. They have a superior shelf life to the standard markers and can be left for long periods of time without the lid on and will still work. 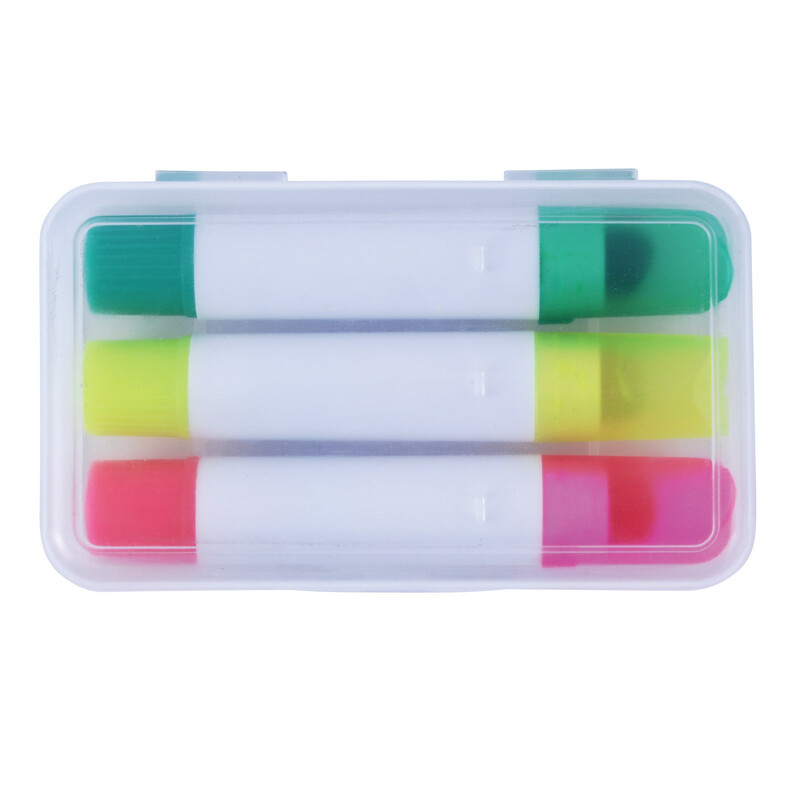 Includes a Pink, Yellow and Green highlighter marker with white barrel and translucent matching lids.